To celebrate their 75th anniversary, Klipsch has dropped three very mid-century modern looking speaker systems. The Capitol One, Capitol Three, and the Capitol Heresy III. All of these are quite stylish and would look good in anyone’s home, especially mine but alas I’m not in the market for any new stereo gear. Klipsch has teemed up with iconic recording company Capitol Records for the introductory promotion on these, and that means you get a free vinyl redemption code so you can pick up an album from Capitol. Frankly based on the price of these units Capitol should be offering up a rather large box set of your favorite artist’s complete recordings. The units are fairly feature rich for considering their size, and the Capitol Three is set up for multi-room streaming using the Klipsch Stream Wireless Multi-Room System. 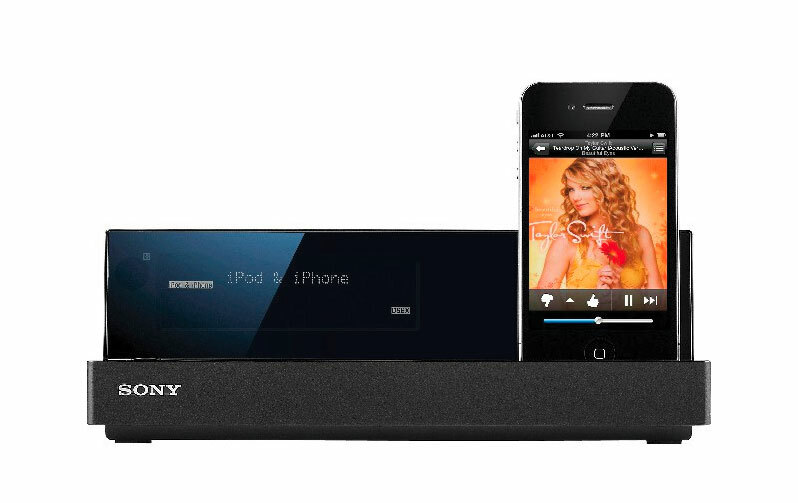 An all-encompassing solution for distributing your music throughout your home. The Capitol Three Special Edition features a 2.1 stereo system with two 2.25” full range drivers, a 5.25” long-throw woofer, and 2 x 5.25” dual opposed passive radiators that deliver high-quality acoustic performance and solid bass. I’m drawn to the classic looks and styling of the units. Klipsch nailed the mid-century look and it seems quite fitting for a 75th-anniversary product. 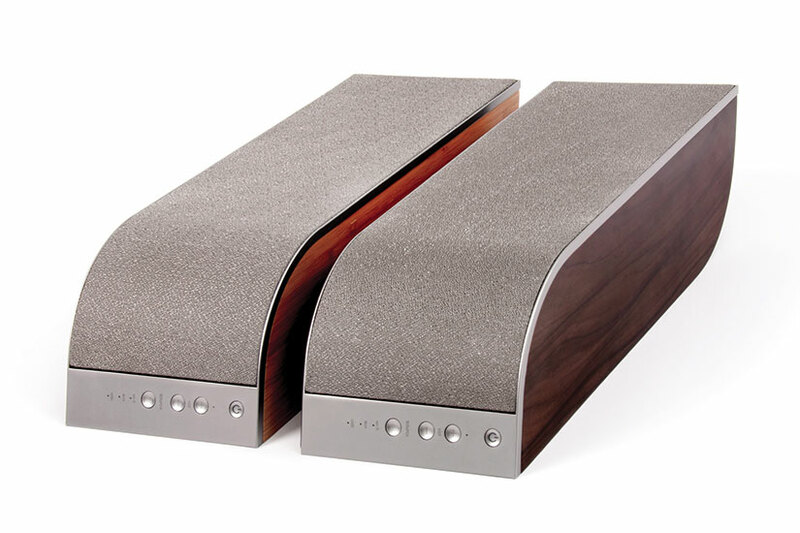 The speakers are constructed from real wood veneer and tactile spun copper switches and knobs. Each unit also comes with a limited, special edition badge, a 3.5mm analog audio input and the Capitol One has an 8-Hour rechargeable battery so you can move it to different rooms throughout your home. All of these are available in both ebony or blonde wood options. Personally, I like the look of the blonde over the ebony. It shows off the wood grain, and the contrast with the grill is simply classic. Posted in Music and such and tagged Anniversary Edition, Capitol, Klipsch, Mid Century Modern, Music, Speaker, Stereo, WiFi on August 16, 2017 by Author. Plume, Solving Your WiFi Dead Zones. I don’t live in a large house so WiFi connectivity and bandwidth really isn’t an issue for me. I know that it can be frustrating as all hell though for people in larger homes and with multiple users competing for a single signal coming off a router located in the most inconvenient spot in your home. A new solution coming to market in November wants to render this a non-issue. Plume is the a new Adaptive WiFi system, that takes a series of small, discrete hexagonal boxes and spreads WiFi throughout your domicile. According to the site, “Plume is the only WiFi solution powered by the cloud, which means it can adapt to real life in real-time—ensuring every room and every device has a reliably fast connection today, tomorrow, and years from now.” Sounds promising. The devices also maximize data flow on your WiFi network by handling different types of traffic for a smooth, uninterrupted experience. Plume apparently knows the difference between different data types and allocates bandwidth according to need. And Plume doesn’t use a traditional mesh system to hop between source points which adds latency and slows data transfer. Plume uses a different channel or band for each hop, never slowing down your WiFi speed. Plume has a great look to it. Clean, minimal, small in scale. It is definitely designed to blend into a space and disappear. Modest in appearance, and petite in size each pod feels like a small piece of modern sculpture plugged into your power outlets. Plume can be preordered as individuals at 39 bucks a pop or sets of 6 which will set you back $234.00. Posted in Design and Art, Technology and tagged Industrial Design, Network, Plume, Router, Technology, WiFi on September 15, 2016 by Author. 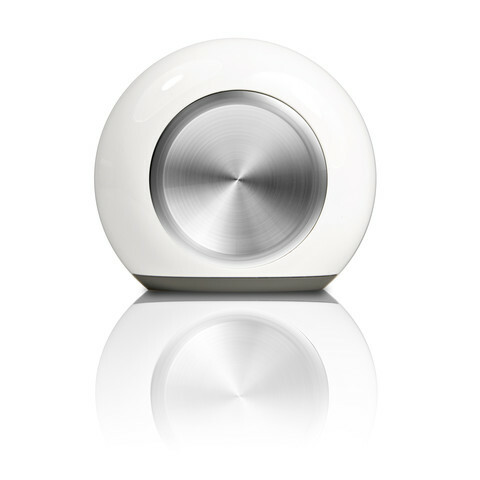 The Harman Kardon Aura is a sleek, modern, wireless speaker system, that is in my opinion a show stopping design. The small footprint and lack of wires allow it to be placed anywhere in your home as long as you have a power outlet close by. 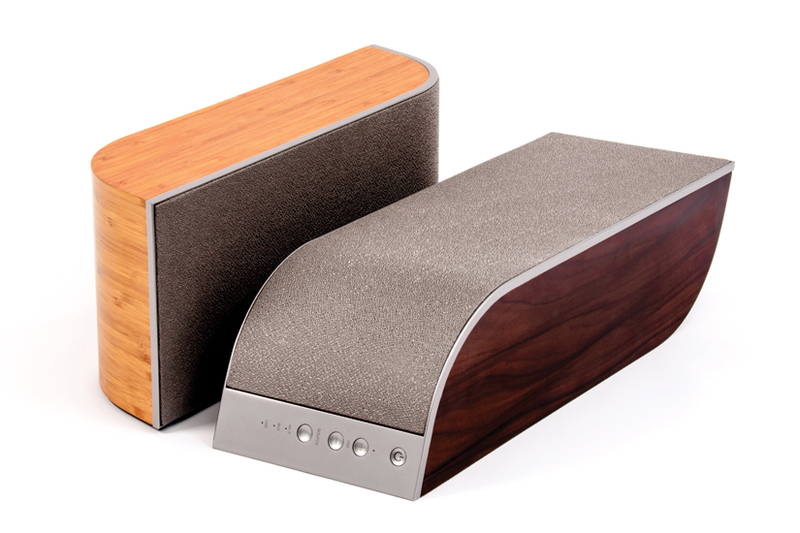 Distinctive design, and robust audio make this little speaker a winner. I’ve been using the Aura for a couple of weeks, and while it isn’t perfect, it’s a serious contender in the wireless speaker game. The image of modern design. In a crowded market it is imperative that your product stand out from the crowd. Over the years speaker designs have come and gone, but for the most part, speakers are, or look like a wooden box with a grill. In short, they aren’t that interesting to look at. 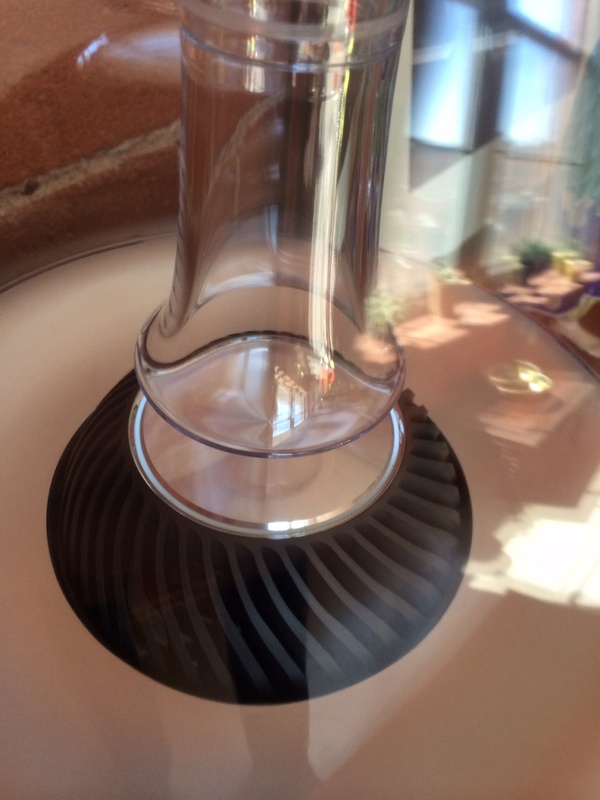 The Aura with its dome shape, and transparent sound chamber, is a piece of industrial design that says “look at me”. The Aura is built on a circular footprint with a diameter approximately 10 inches, and a height of about 12. The physical size makes it perfect for desktops, shells, or on the floor. One thing is certain, you won’t want to hide this fantastic piece of visual design. 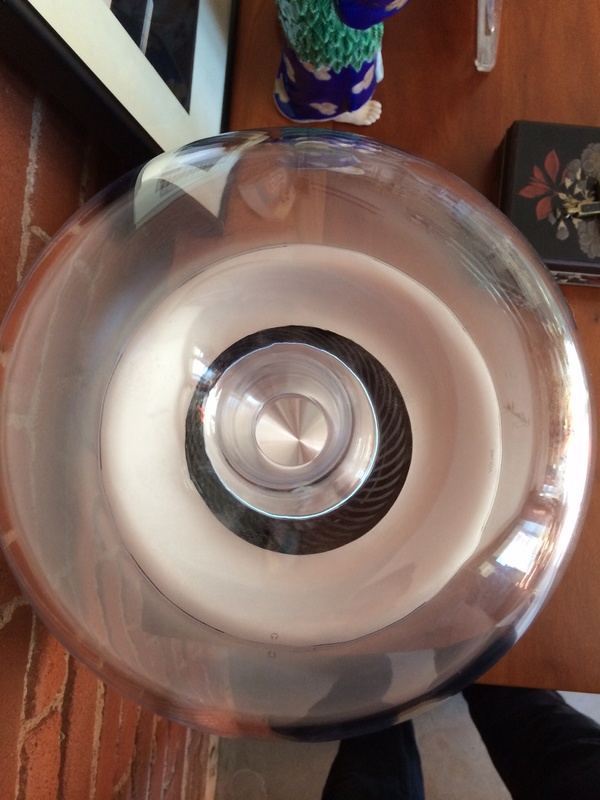 Inside the clear plastic dome is a single ring of light that illuminates the center of the speaker. The light functions as a visual indicator for the volume level allowing the listener to a get a quick visual read on how loud things are going to get. Buttons are kept to a minimum, and like the original Soundsticks, volume control is a touch sensitive slider on the base of the speaker housing. Aside from that, the only other indicators, are power, WiFi, and Bluetooth lights discretely hidden on the base. My one gripe is that these buttons give no real feedback when pressed. Just a few audio chimes to indicate the speaker is doing something. The only clue as to what is going on is, the connection button is green for WiFi, and blue for Bluetooth. The QuickStart guide tells you this, but not much else. For the most part the speaker is pretty straight forward. Harman Kardon sells the Aura as a wireless home speaker, but in addition to wireless connectivity, there are USB, Optical, and a Mini Stereo input ports. All of these are good, because if you wanted you could hard wire the speaker to your TV or another device and take full advantage of improved audio quality. Aura’s wireless connectivity is its main selling point though, and the primary reason I picked one up. Aura provides Wi-Fi connectivity through DLNA, AirPlay, and Bluetooth. 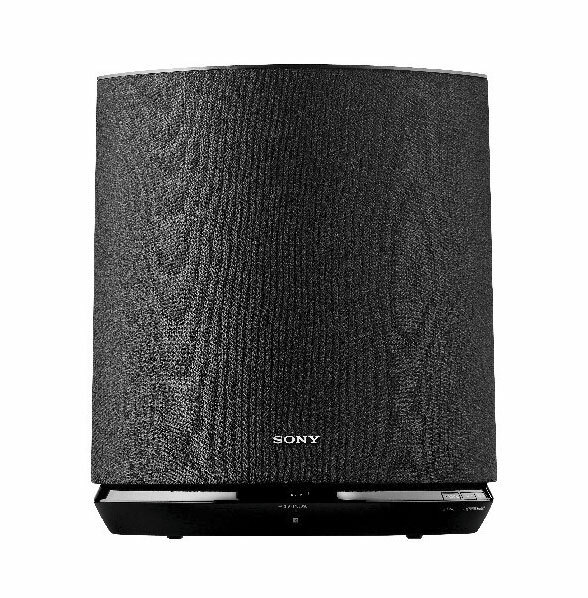 Aside form the connectivity glitches, the audio quality is absolutely top notch, as it should be for a $400.00 speaker system. Once again Harman Kardon’s renowned excellence in producing high quality products shows. The sound that is delivered from such a small compact system is really pretty impressive. Because of the design, audio is rendered in an omni directional pattern, filling the space with an overall balance of audio. This omni directional audio wave is achieved through six one and a half inch drivers that have been tuned to handle different frequency ranges for mid and high audio. In the base is a down facing 4.5 inch subwoofer that produces a deep warm bass tone that really fills out the sound quality. Audio levels are crisp, well separated, and full with no distortion even when the volume is cranked. What is really interesting is because of the design, the system sounds great no matter where it is. I have had it placed on the floor all the way up to an almost ceiling level height, and Aura just sounds great no matter where it is in the room. Bottom line, I simply can’t find fault the Aura’s sound output. It’s loud without being overbearing, it sounds good at all locations, the audio quality is rich and full, and it fills the space with rich high-fidelity sound. 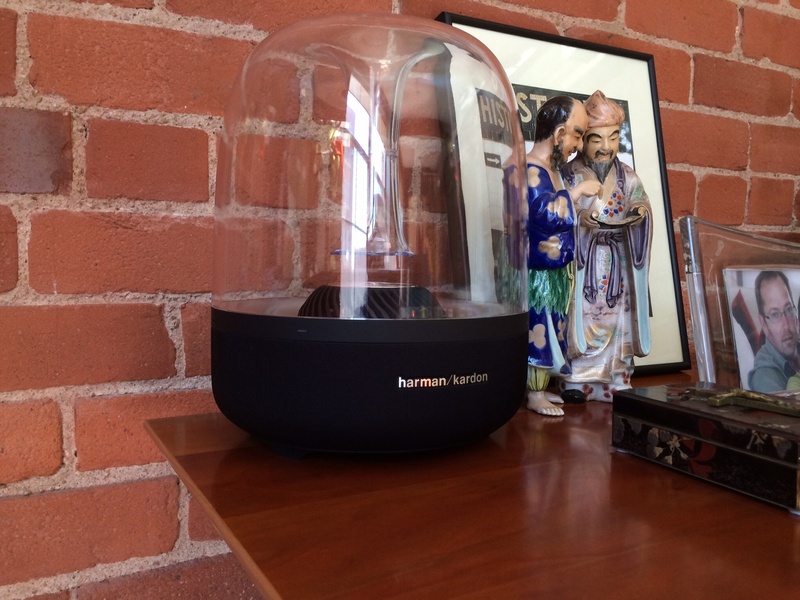 So Harman Kardon has produced a pretty sweet little speaker system. Stunning looks and impressive audio quality make the device a winner in my book. If Apple can work out the connectivity issues with Harman Kardon, and if Harman puts together a more comprehensive product manual, Aura would be hard to beat. Posted in General, Music and such, Technology and tagged Airplay, Audio, Aura, Bluetooth, Harman Kardon, iPad Speaker, iPhone Speaker, Speaker System, WiFi, Wireless Speakers on March 8, 2014 by Author. A Little Bird Told Me About Wren Sound. I hate wires. Specifically I hate coaxial cable, HDMI cords, speaker cables, and power cords. So, every time I find a wireless speaker system that promises to deliver superior sound quality and looks good too, I get a bit excited. Wren Sound Systems Mike Giffin, (Former Harman International Senior VP) along with a team of other industry veterans worked with product design and brand innovation firm, Ashcraft Design out of LA to develop the Wren V5AP. The system works with iOS, and Android devices to deliver room filling audio via WiFi in a stylish refined package. The Wren system is designed to reduce or eliminate resonance and coloration through a unique body design. 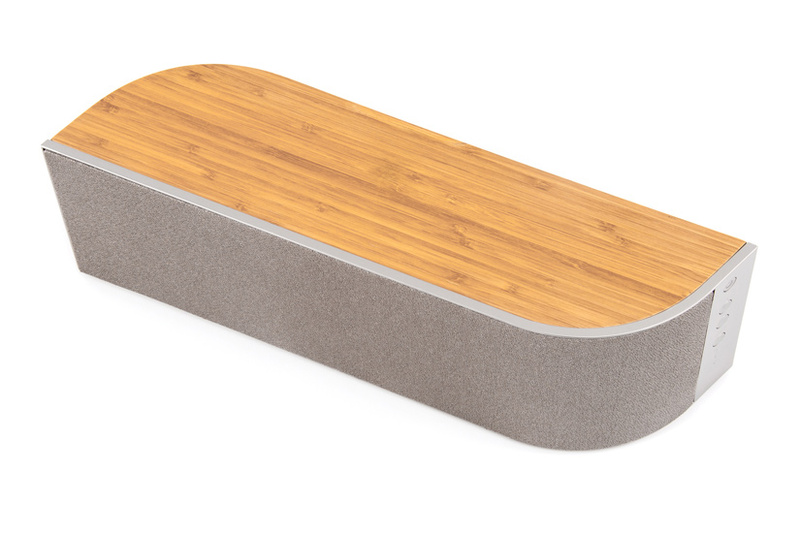 Rosewood or bamboo veneers cover a half-inch laminated MDF board which sits on top of a 4mm low durometer silicone pad that stabilizes the chassis and absorbs cabinet vibration. The face is wrapped in a unique internal diamond-matrix grille designed to protect the drivers without distorting the sound. Internally the speaker system uses an Intersil D2 50-watt DSP-controlled digital amplifier to power the wo long throw drivers with 4-layer voice coils and two widely spaced 19mm edge-driven soft dome tweeters. This allows you to play your music louder with less distortion. The system has a great look with simple understated controls. It’s the kind of speaker system you don’t mind having out in a room because it looks so nice. At $399.00 it isn’t cheap, but it is on par with other systems like those from Bowers and Wilkens, and it’s far cheaper than Bang & Olufsen. Posted in Android, iPad Apps, iPhone Apps, Music, Television and tagged Airplay, Android, Ashcraft Design, Audio, Harman International, iOS, iPhone, Mike Giffin, Music, Technology, WiFi, Wireless Speaker System, Wren, Wren Sound Systems, Wren V5AP on March 13, 2013 by Author. A Hiku For Your Fridge and Phone. This is my Monday morning Kickstarter find, and something I am probably going to back. Hiku has been getting press lately from some heavy hitters like “AllThingsD” and “Fast Company’s Co.Design” with good reason. Good design is about solving problems with an intelligent, attractive solution that seamlessly blends with your life. Hiku does that. The simple device is a wireless enable reminder service that is tied to your smartphone. It was created to help your shopping by sending reminders of items you’re out of to your phone. It uses both voice activation, or a scanner and connects directly to your Wi-Fi network at home.That way your phone doesn’t need to be with you to use it. 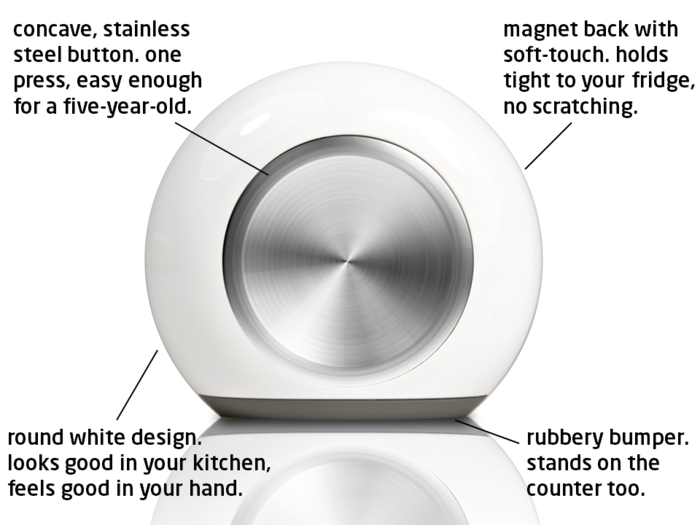 The device is small, simple, unobtrusive, and elegant, and it solves a problem. All the things good design should be. Posted in Android, iPad Apps, iPhone Apps, Smartphones, Television and tagged Android App, App, Connected Home, Design, Hiku, Industrial Design, iPhone, iPhone App, Kickstarter, Shopping App, Smartphone, WiFi on October 1, 2012 by Author. I love that Google and Babble fish translate web pages for you, but I really wish I had learned more foreign languages in school, because the source for this post was at times lost in translation. This is what is going on here, I think. 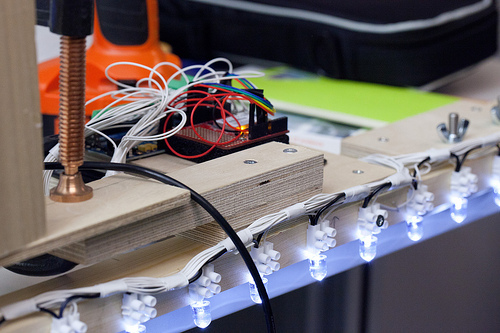 This project by Timo Arnall, Jørn Knutsen and Einar Martinussen was designed to explore the invisible radio frequencies of ground level WiFi networks in urban spaces. The team created an image with light painting by mapping signal strength signal in time-exposure photographs. 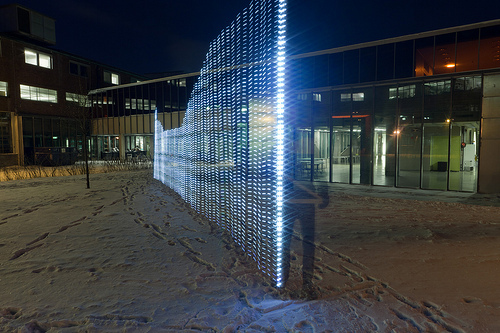 Using tall rods/antennas each containing 80 points of light, they were able to reveal a cross-section of WiFi networks present in the urban environment. The whole process was carried out using a photographic technical called “light-painting”. This was originally done for the 2009 film `Immaterials: the Ghost in the invisible Field’ which probed the edges of the radio fields that surround RFID readers and tags in the world. It also began as a series of investigations into what Matt Jones richly summarised ace `Immaterials’. While the team was mapping out tiny RFID fields, they wondered what it would Be like to apply their light painting process to larger-scale radio fields given off by Bluetooth, WiFi, GSM and 3G. What they ended up building was a huge architectural light painting apparatus that could map out and city-scale Wifi networks. We built a series of WiFi measuring rods/antenna, each containing 80 lights that respond to the Received Signal Strength (RSSI)for a particular open WiFi network.The antenna arrays were set up in urban environments and shot with time exposure techniques to reveal signal strength, and Wifi fluctuation. The cross-sections represent a year of WiFi signal strength, and graph RSSI fields across physical space. The result is an abstract image and video. Posted in Design and Art, Technology, Video and Motion Graphics and tagged 3G, Einar Martinussen, Jørn Knutsen, Light Painting, photography, postaday 2011, postaday2011, RFID, RSSI, Time Exposure, Timo Arnall, WiFi on March 2, 2011 by Author. One of the things I really like about Sony products is they get industrial design. The stuff they make pretty much always looks great. One of the things that has annoyed me about them in the past, is they tend to be fairly closed about their technology, and arrogant about its superiority (think memory stick for their cameras, and Mini Disc Walkman). When they do wake up and realize they need to make products that work with other technologies (think iPod) the results are a solid compliment to any given product. With CES in full swing, Sony unveiled a new iPod/iPhone stereo system that could rival the Sonos systems that have been around for a number of years. 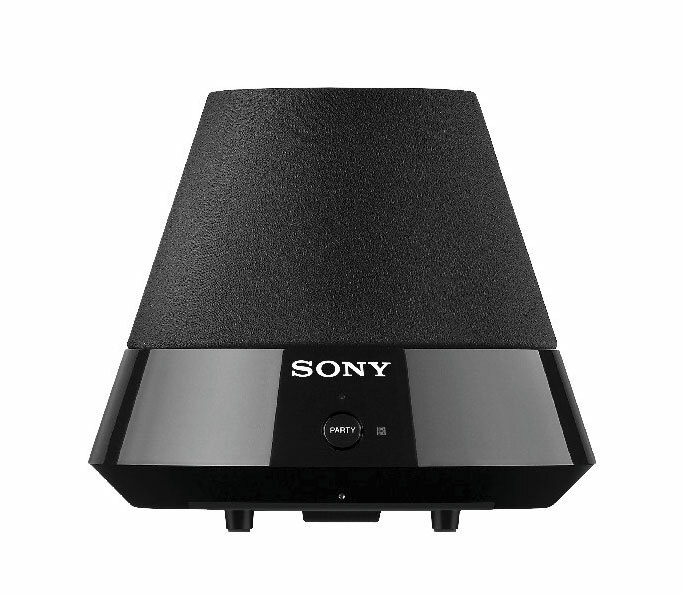 The new SA-NS300 and NS-400 systems are really nice looking units that use wireless network speakers designed to broadcast tunes from a variety of sources such as DLNA-enabled PCs or BRAVIA internet music services found on Sony’s latest Blu-ray players. And while Sony has put their product first, they have also embraced Apple’s new Air Sharing so that iPhones and iPods can join in when placed in HomeShare compatible NAS-SV20i and NAC-SV10i docks. Like any number of Sony products, these go far enough beyond the capabilities of a standard remote, so Sony is also introducing the HomeShare-friendly touch screen RMN-U1 Wi-Fi universal remote. The remote allows you to send music through out the networked HomeShare system, and serves up things like Album art, Lyrics, Liner notes etc. Unfortunately, the remote is bought separately and will set you back an additional 300 bucks. 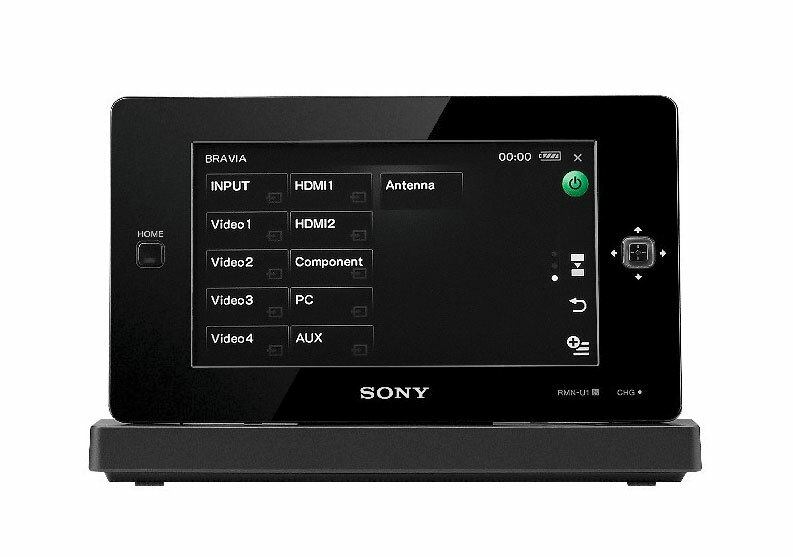 From the sound of the press release, it looks as though Sony has set this up to zone your network so you can send media to every room or specific rooms, which is a definite plus. The system uses standard 802.11b/g WiFi so it should be compatible with any wireless network you have in your home. The Subwoofer. Why is there a button called "Party" on this? The best part of this is the price point. Sony says that this will be available in March for $200.00 to $300.00. Better than Sonos or many of the competing products on the market today. And since it is Sony, you can bet the build quality is going to be solid, and the software is going to be well thought out. This March I am going to have to head to a Sony Style store and check these out in person. Posted in Music and such, Technology and tagged Air Sharing, Apple, CES, Home Theater, HomeSharing, iPhone, iPod, Sony, Stereo, WiFi, Wireless Speakers on January 6, 2011 by Author.